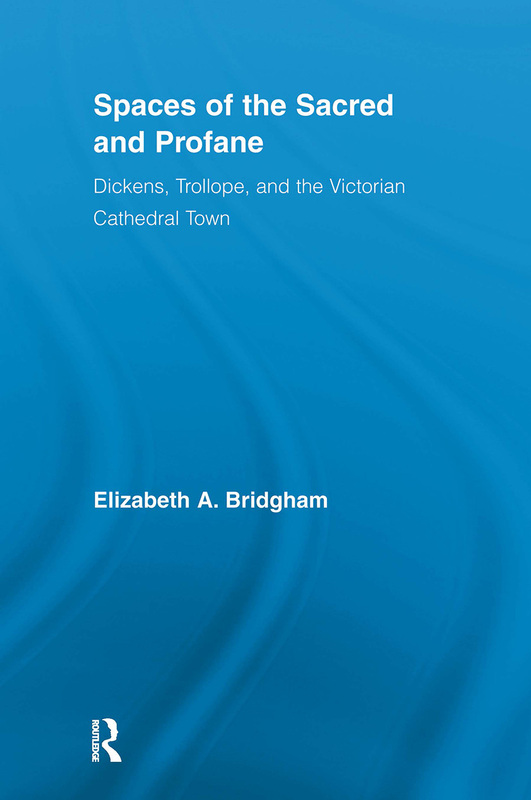 This study examines the unique cultural space of Victorian cathedral towns as they appear in the literary work of Charles Dickens and Anthony Trollope, arguing that Dickens and Trollope use the cathedral town’s enclosure, and its overt connections between sacred and secular, present and past, as an ideal locus from which to critique Victorian religious attitudes, aesthetic anxieties, business practices, and even immigration. By displacing these issues from the metropolis, these social authors defamiliarize them, raising what might have been considered strictly urban problems to the level of national crises. By situating contemporary debates in cathedral towns, Dickens and Trollope complicate the restrictive dichotomy between urban and rural space often drawn by contemporary critics and Victorian fiction writers alike. In this book, Bridgham focuses on the appearance of three such key concerns appearing in the cathedral towns of each writer: religious fragmentation, the social value of artistic labor, and the Gothic revival. Dickens and Trollope reject Romantic nostalgia by concentrating on the ancient, yet vital (as opposed to ruined) edifices of the cathedrals, and by demonstrating ways in which modern sensibilities, politics, and comforts supersede the values of the cloister. In this sense, their cathedral towns are not idealized escapes; rather, they reflect the societies of which they are a part.